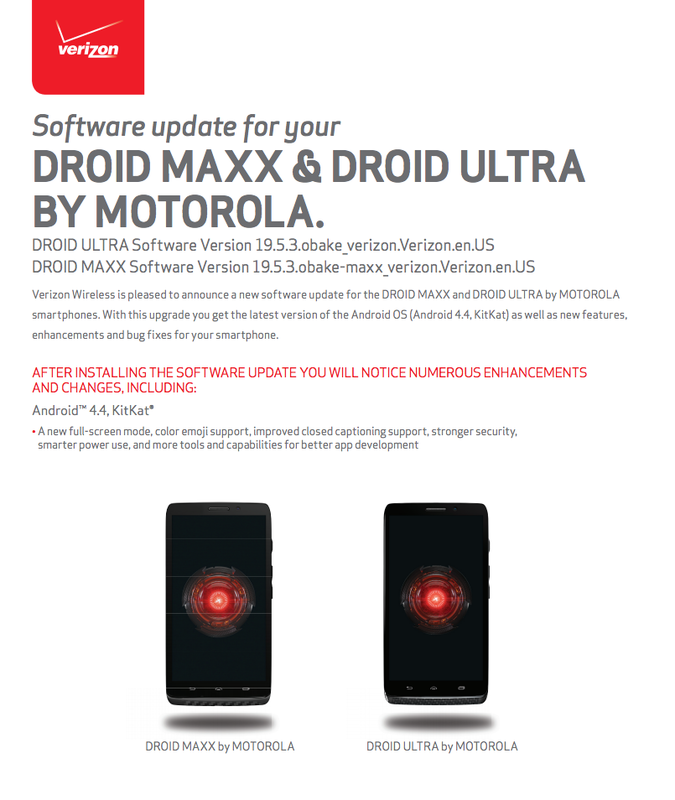 After a brief discussion over a soak test of Android 4.4 “Kit Kat” for the new DROID family of phones (DROID MAXX, ULTRA, and Mini), Verizon and Motorola have gone ahead and made the update official for everyone. But even though the update is official and rolling out starting today, it’ll be happening in phases, so don’t expect that you will all be able to pull it. With that said, here are the dirty details of the update. For each device, you are looking at a final software version of 19.5.3. Since the update jumps you up to Kit Kat, you get all that (well, most of) Google gave us weeks ago during the Nexus 5 launch, outside of the Kit Kat smart dialer and the Google Experience Launcher. 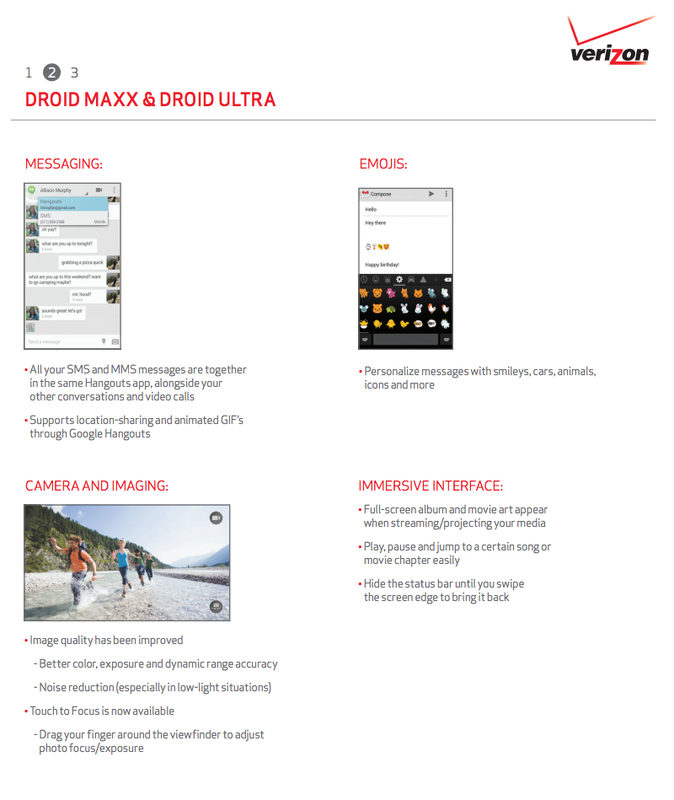 So you are looking at Immersive mode, full color emoji support, stronger security, smarter power use, SMS and MMS together through Hangouts, and more. 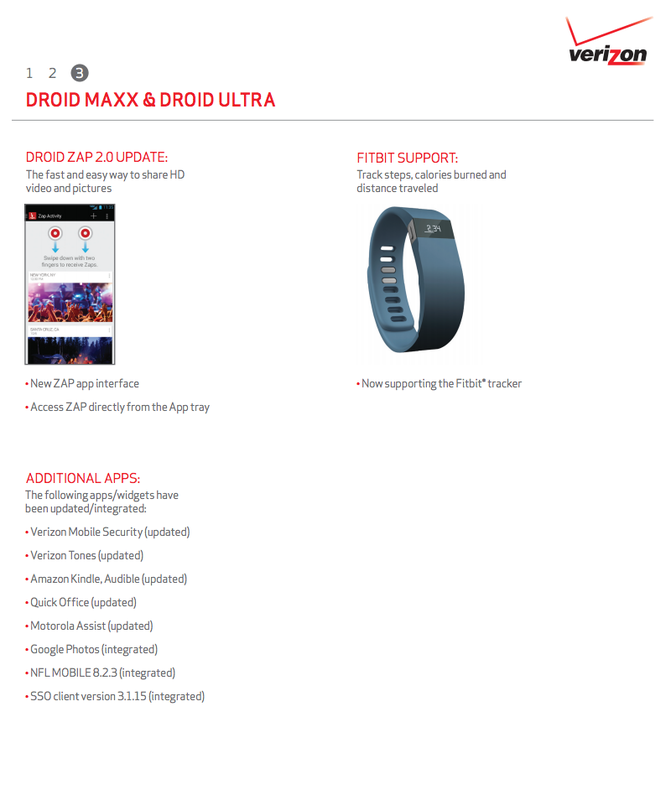 To see the run-down on Kit Kat features, check out our highlight post. 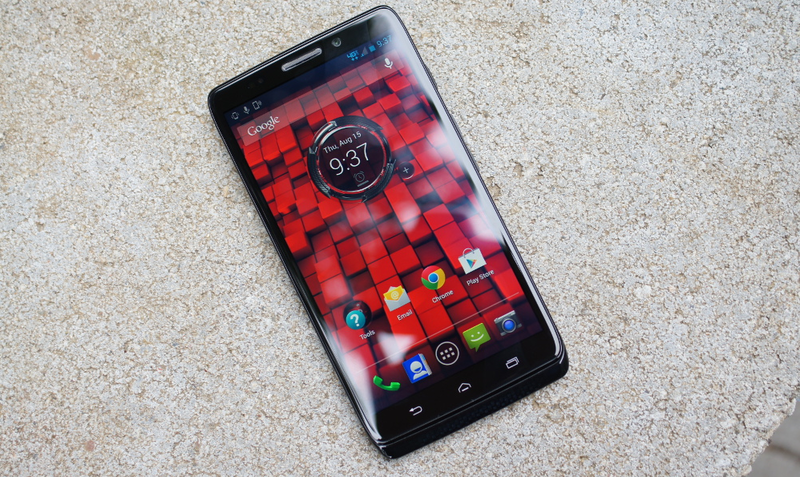 The update is more than just Kit Kat though, as Motorola included new camera software to improve your photo experience, FitBit support, a big update to DROID Zap (v2.0), and a whole boatload of updated bloatware. Cheers Tom, Kevin, Jared, Ed, Ed, Rooster, P, J, C, and everyone else!